Come and see Republic of Ireland XI v Liverpool FC Legends go head to head in a bid to raise money to fund vital rehabilitation care for Sean Cox, who suffered life changing injuries when he was the victim of an unprovoked attack outside Anfield ahead of the Reds’ Champions League semi final against AS Roma last April. 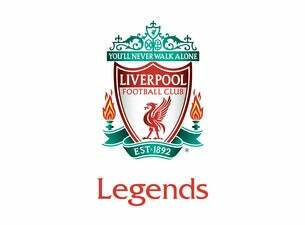 The match will feature LFC Legends such as Sander Westerveld, Jerzy Dudek, Patrik Berger, Vladimir Smicer, Salif Diao, Robbie Fowler, Ian Rush and Djibril Cisse. Glen Johnson joins the LFC Legends team for the first time, as well as Robbie Keane, who along with Jason McAteer, John Aldridge and Phil Babb, will play for both Liverpool Legends and the Republic of Ireland XI. For the Republic of Ireland XI, manager Mick McCarthy will be able to call on the likes of Kevin Kilbane, Ian Harte, Lee Carsley and Liam Lawrence, with more players announced soon.